EDIT: the case of the million dollar jackpot that paid out only $2,900 has finally been settled. However, it does not really clear the reputation of Betsoft that is seriously tainted now. After several weeks of deliberation between the developer, the casino and the player, an agreement was finally reached. Unfortunately for him, the player will not get the million that was rightfully his. Instead, he agreed on receiving a lower amount provided he promises not to publish bad publicity about Betsoft and Bitcoin.ag. This sad story is concluded now as the player was forced to accepting a small fraction of his million dollar win while Betsoft should have paid him without question, and Betcoin.ag should have taken his side in defense. You can draw your own conclusions now. It is a bit sad to see these things happen, but I must say that the market for online casinos is regularly harmed by rogue businesses. There have been false Netent games, but this time shady and unscrupulous actors are involved, who may therefore not be recommended anymore by the FeedBACK Casino community. This time, the situation is more worrying than usual, as it directly concerns a well-known developer, namely Betsoft, and their progressive jackpots that are rarely won, and which raised a lot of questions. Fortunately, our team is here to shed some light on this unfortunate affair. Betsoft has been having an impeccable reputation so far. 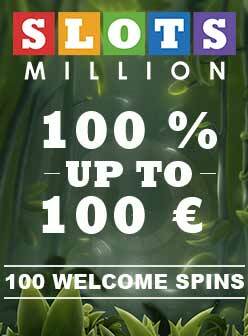 They have been established on the market for the last 15 years, and developed an excellent reputation with players through their impressive game selection with amazing high-quality 3D slot machines. Nevertheless, their reputation could be questioned, because of a less than stellar story about their progressive jackpots and the bizarre winning frequency. It all started on the English forum CasinoListings.com in September 2015 with the pertinent remark of a very observant user who was surprised about the payouts of the progressive jackpots from Betsoft. The payout frequency of three progressive slots of the developer (At the Copa, Greedy Goblins and Good Girl, Bad Girl) had been analysed for several months at two well-known online casinos Bovada and Slots.lv. The results of this analysis led to some serious doubts about the randomness of these jackpots. The most significant anomalies were detected in the game Good Girl, Bad Girl. But before going further into detail, it is important to provide some clarification about this game. In theory, you can win the jackpot regardless of the size of our bet. By betting 5 cents for example, you win a share of this prize pool. To be able to win the full amount you will have to bet the maximum. This means that there is a jackpot for each different bet size. Following the analysis performed on CasinoListings, it was concluded that that some of the jackpots set for 5 cents, 10 cents, 25 cents or $1 had not been taken down on Bovada, although they were won repeatedly on Slots.lv, although it was on Bovada that the games were mostly played. Since the analysis is already over 9 months old, we can easily conclude that the jackpot was locked on some betting limits on Bovada. This may also be the case in other online casinos! This is not everything! Until last February, the value of the jackpots fell several times a day and overnight, or they were simply not won at all for almost 3 weeks in a row. Then they were won several times a day again after that. What is strange about these results is that it appears that the fully grown jackpots had been locked from being won during the three weeks and returned to normal winning frequency after that. Just days after this affair broke out, the online casinos Bovada and Slots.lv responded. They quickly removed all the games that were problematic, and expressed that they do not wish to take any risk, and condoned this practice. Unfortunately for Betsoft, this case is not the only one that currently taints the reputation of the progressive jackpots. In fact, a player also accuses the developer of manipulation on the slot machine The Glam Life. Copies of screen shots support his claim showing that he placed the maximum wager and got the symbol combination for the jackpot when it was over 1 million dollars worth. However, he only received $2,900 in winnings. Of course, you can always suspect that the player had tampered with the screenshots, but considering the jackpot analysis of CasinoListings, it might be a legitimate claim.